Cine ready: Sigma’s 18-35mm high speed zoom. 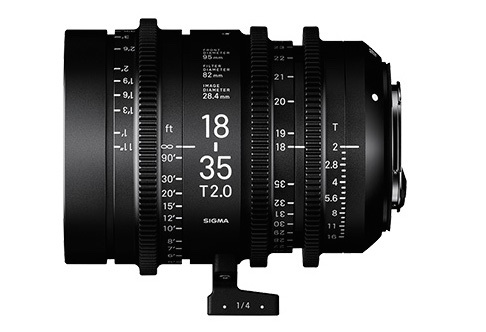 Sigma has announced three cinema zoom lenses, and five cine primes. Lens maker Sigma is launching its first range of cine lenses, initially for the US and Japanese markets. The launch is a new move for Sigma, which had focused on the stills camera market, even though lenses such as its 18-35mm f1.8 Art series is widely used for film making. It is also the first time Sigma will make native lenses specifically for Sony’s e-mount system. The new lens line up includes two cine zooms for Super 35mm, the 18-35mm T2 and the 50-100mm T2. The optics share focal length ranges with Sigma’s existing, f1.8 Art series, but feature new housings with fully variable, clickless apertures, consistent 95mm front diameter and 85mm filter sizes, and focus gears. The lenses also feature cine style markings. The new zoom lenses have a 180-degree throw to help with manual focusing, and can pass metadata to the camera electronically. 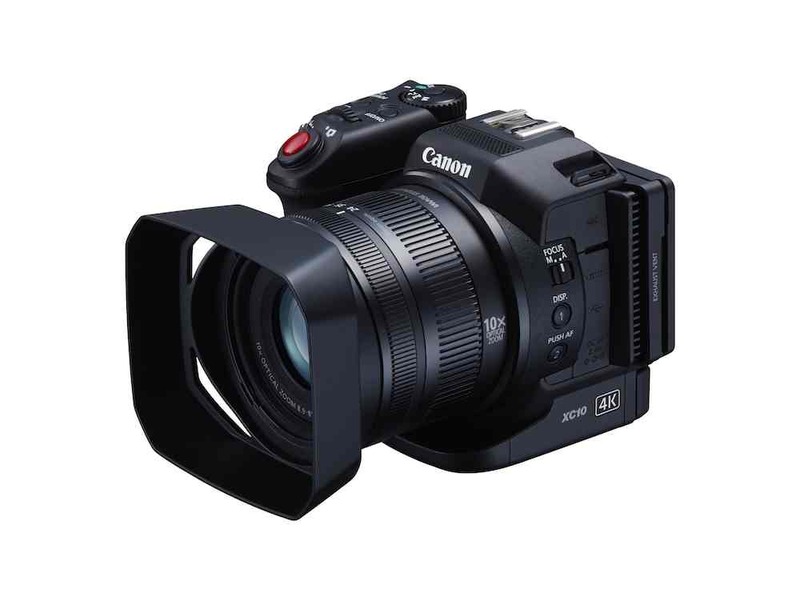 It is unclear, though, whether Sigma have adjusted the lenses’ optical performance for cine applications, such as by controlling focus breathing. Sigma will make the two Super 35mm lenses in Canon EF and Sony e-mount versions initially, with PL mount versions to follow. 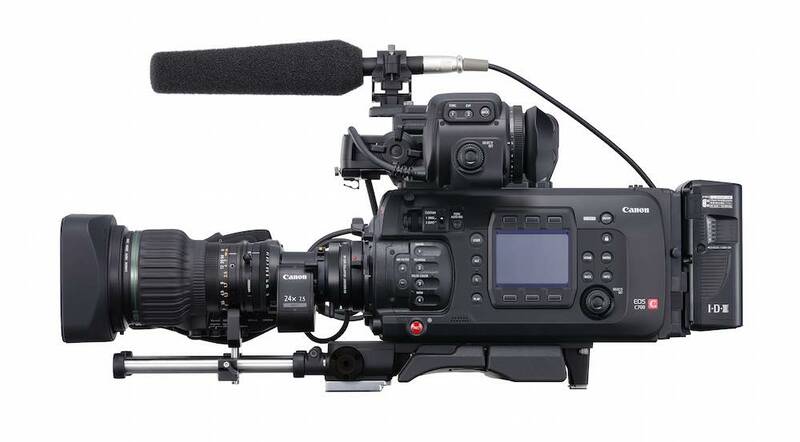 The third zoom in Sigma’s line up is a full-frame, 35mm cine lens with a 24mm-35mm focal length range. This lens features a T-stop of 2.2, but shares the filter and front element dimensions of the Super 35mm range, as well as a similar industrial design. Sigma will release the full frame lens in EF and e-mount, but not PL. 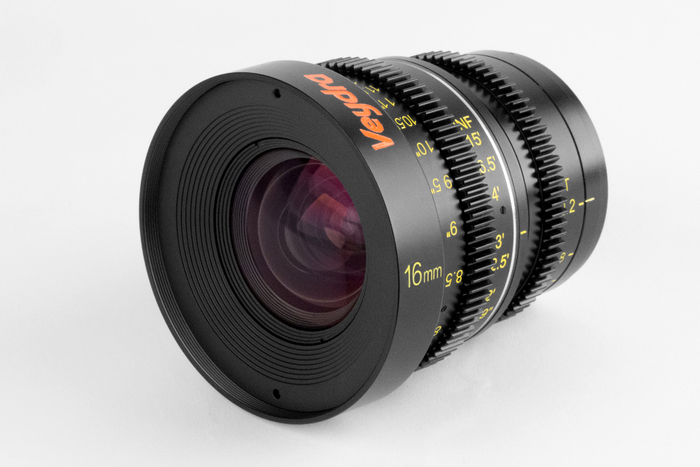 As well as the zooms, the company will release five, full-frame prime cine lenses. Focal lengths range include 20mm, 24mm, 35mm, 50mm and 85mm. All lenses have a T-stop of 1.5 and a 95mm front diameter, and come in EF, e-mount and PL versions. Sigma expects to start shipping the Super 35mm lenses later this year, and the full-frame zoom and primes in 2017. However, the company has yet to announce pricing or European availability. It has, though, set up a new section of its web site dedicated to the cine lenses.